Garden planters are an integral part of container gardening but they add to the aura as garden landscape objects. 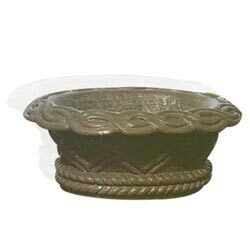 We have a variety of stone garden planters in carved as well as rough finishes. You can choose the one that suits your requirements. They are available in marble and sandstone of different shades. 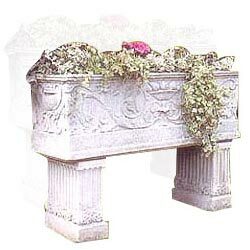 Dimension : Length-12" Width-12" Height-6"
Flower planter with natural clefts to suit the nature of your garden. Dimension : T-21" x H-17.5" x B-11"
Beautiful floral design on a crafted flower pot. 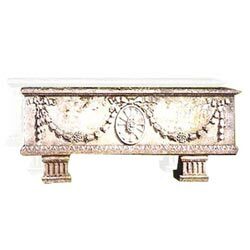 Dimension : Length-24" Width-12" Height-15"
Intricately crafted flora on a garden planter to enhance the beauty of not just fresh flowers, but also the décor of your hallway. Dimension : Length-33" Width-22" Height-12"
Planter with natural clefts to suit the nature of your garden. 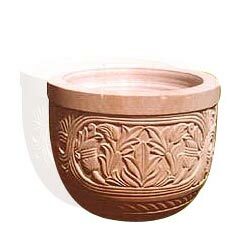 An elegant flower pot with wide mouth for decorative plants. 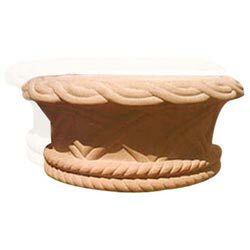 An elegant planter with wide mouth for decorative plants. 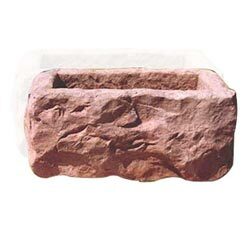 A Decorated stone planter for decorative blooms to add to there freshness. 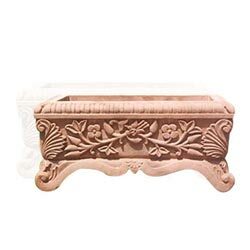 The carved rectangular garden planter is ideal for the porch or the terrace sidelines. The floral creepers will bring a dash of color to the sitting area. You can choose the color of the planter as per your exteriors. 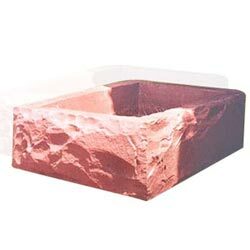 The planters are available in red, beige, pink, brown, mint, white, gray and many more colors in sand stone and marble.